Lancshire County Council is to sell off five more libraries. The news comes ten days after the Post revealed that Fulwood library on Garstang Road had gone on sale with offers invited over £475,000. Now Lancashire County Council it is to sell Whalley, Freckleton, Bolton-le-Sands, Barrowford and Earby libraries too, in a bid to raise more funds and cut costs. The news is a further a blow to local campaigners who had fought to keep their local services open. 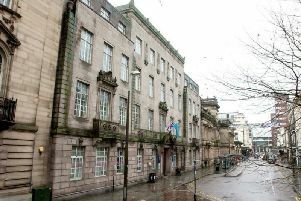 The buildings are being sold as part of the council’s new property strategy which is reducing the number of buildings the council owns and rents and changing where some services are accessed. A network of multi-functional neighbourhood centres is being created offering arrange of different services. Services affected also include children’s services and centres, young people’s centres and older people’s daytime support services.